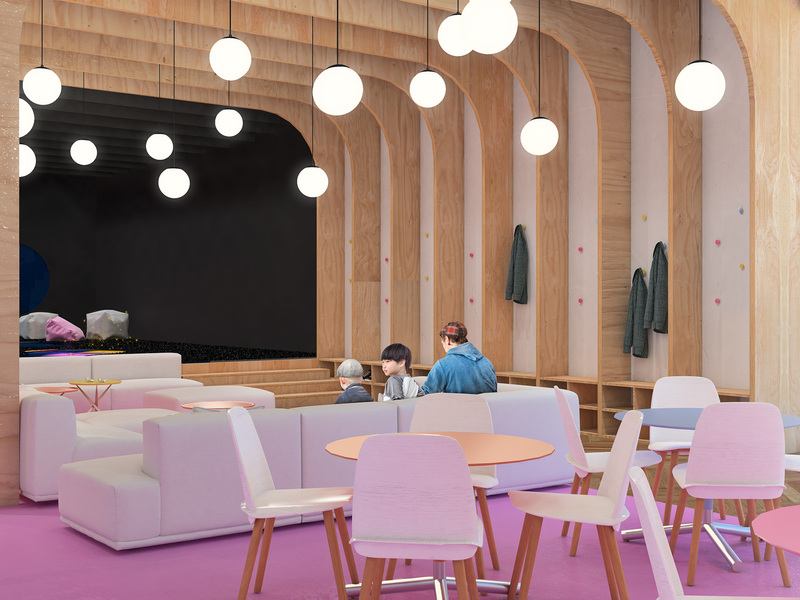 We see Impulsfera as a small interactive cafe. It should be a space friendly for children and for their parents. The youngsters could have fun here by using interactive screens. Meanwhile, their parents can relax in the restaurant area. It should be a cozy, colorful and modern place. 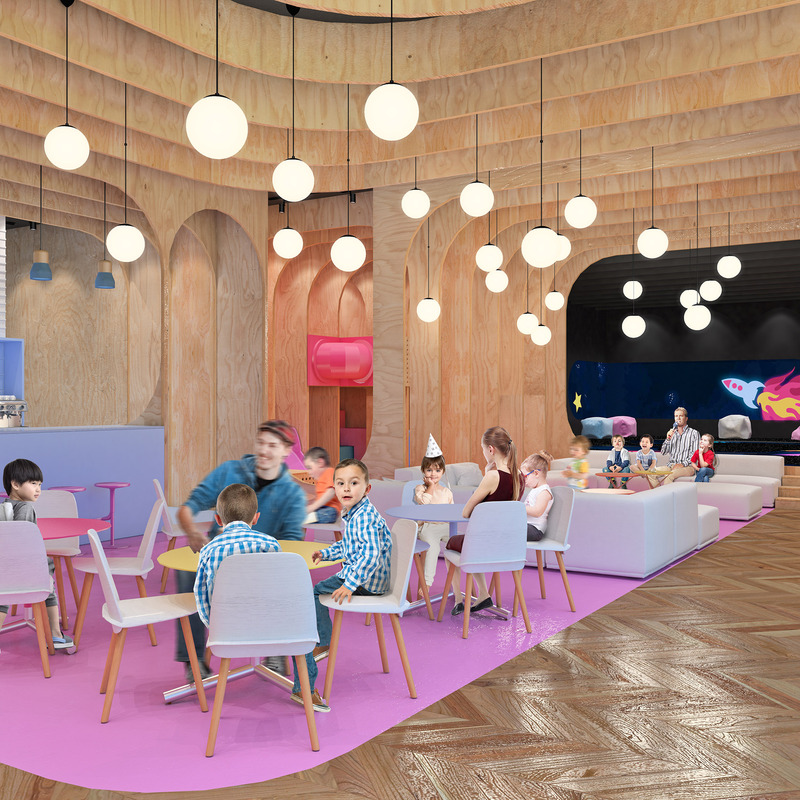 Our goal was to design a small interactive center for kids with an additional function of a café. 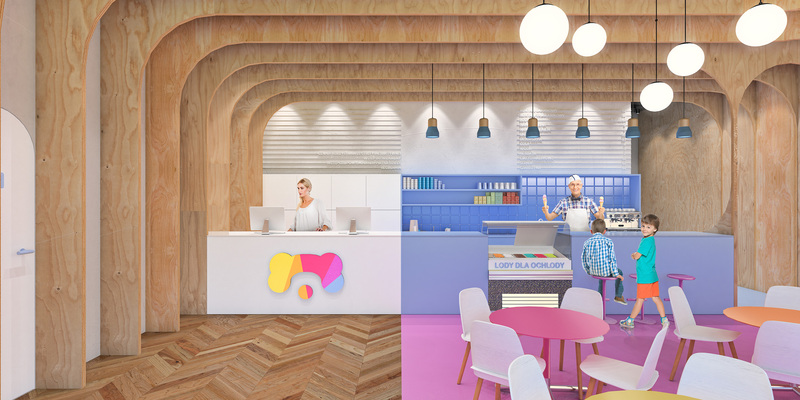 We created space as colorful as the logo of Impulsfera. A different function of the interior has a different color. 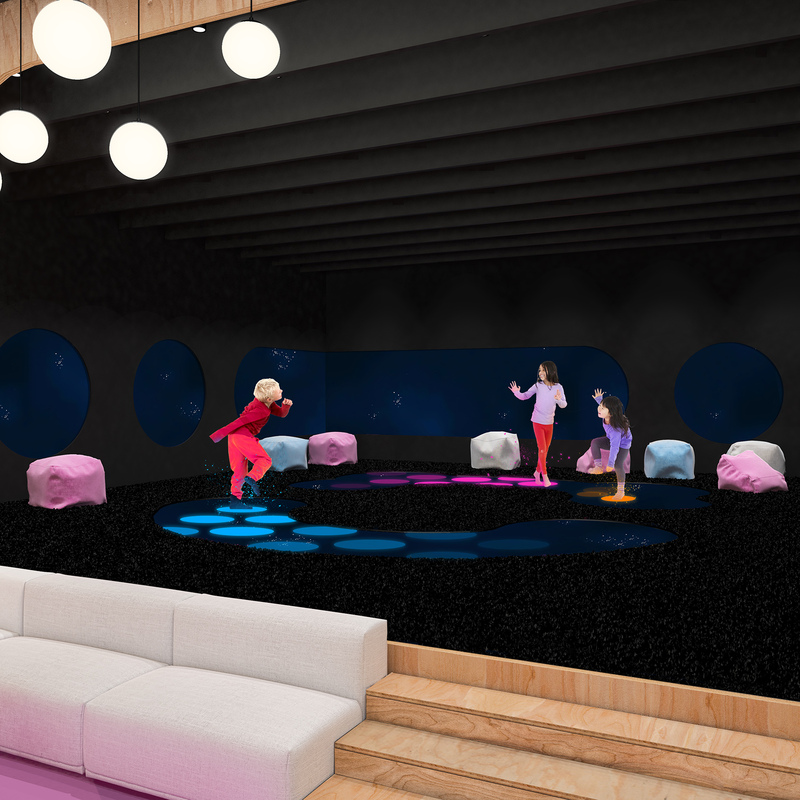 The kitchen is blue, kindergarten is orange, café is purple, and the interactive area lacks color – the technology brings the colors there. Space is continuous but variable. For example, modern, an interactive area is next to cozy, peaceful café. There are no walls – spaces correspond with each other but remain very different. 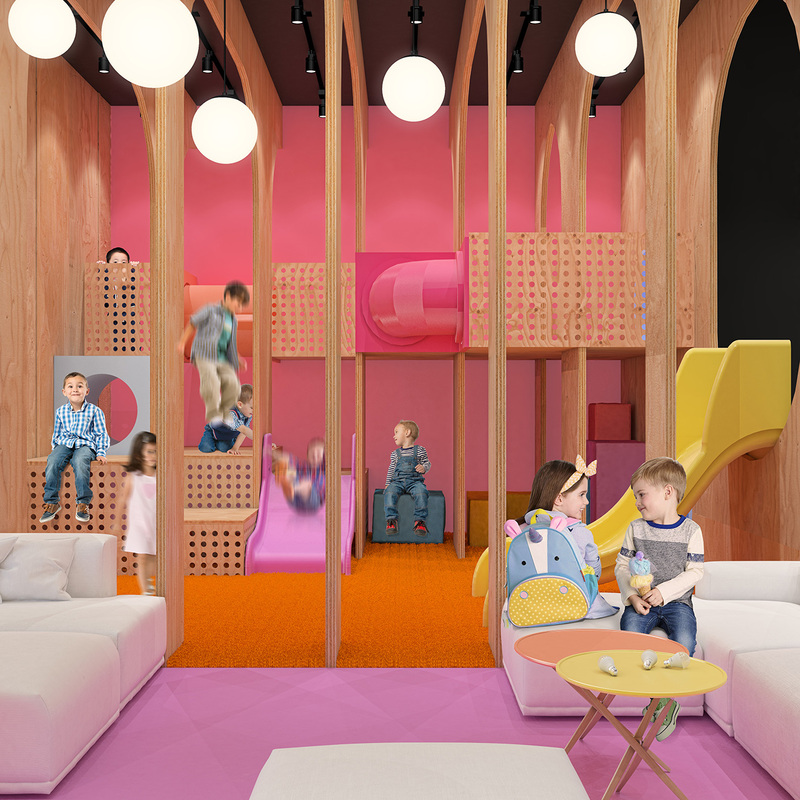 The wood brings warmth to space, divides the space, enhance acoustic conditions and hides: cloakroom, doors to the toilets, technical equipment, construction of kindergarten.